This journey will start by exploring the holy city of Lhasa. You will see the main Buddhist sites in the town including Jokhang Temple, Norbulingka Palace, Sera Monastery and the Potala Palace. You will also be able to explore the Old Town of Lhasa and rub shoulders with some of the thousands of pilgrims who are here each day. 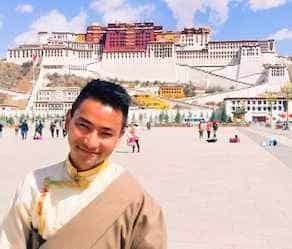 Altogether, you will spend four nights in Lhasa with a day trip to Ganden monastery and Drak Yerba meditation caves as highlight 1-2 hours hike. From Everest, you will then drive to Old Tingri where you will see more view of Himalaya, after driving to Kyirong and towards Kathmandu, Nepal. On the scenic drive from Pelber to Everest Base Camp, we will cross the Gau-la Pass (5200m) and see 4 mountains above 8,000 meters, such as Mt. Lhotse (8516m), Mt. Everest (8848m), Mt. Cho-Oyo (8201m), and Mt. Makalu (8463m). We then arrive at Rongbuk Monastery, the highest monastery in the world, 4km from Everest Basecamp. The 100km drive takes approximately 4 hours due to unpaved roads. 80 queries in 0.341 seconds.